Please note that this instruction is only applicable when you buy the eBook from this website. When you buy the eBook from amazon.com, you will need to use kindle reader (free of charge.). 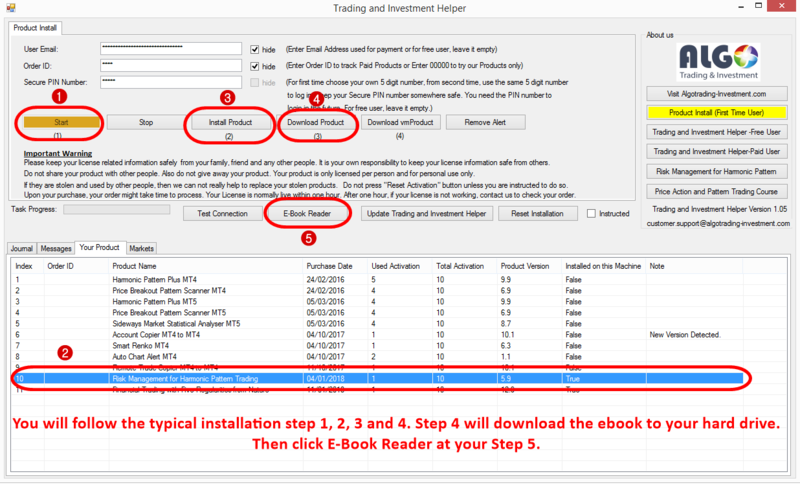 You can download Trading Investment Helper from below Link. 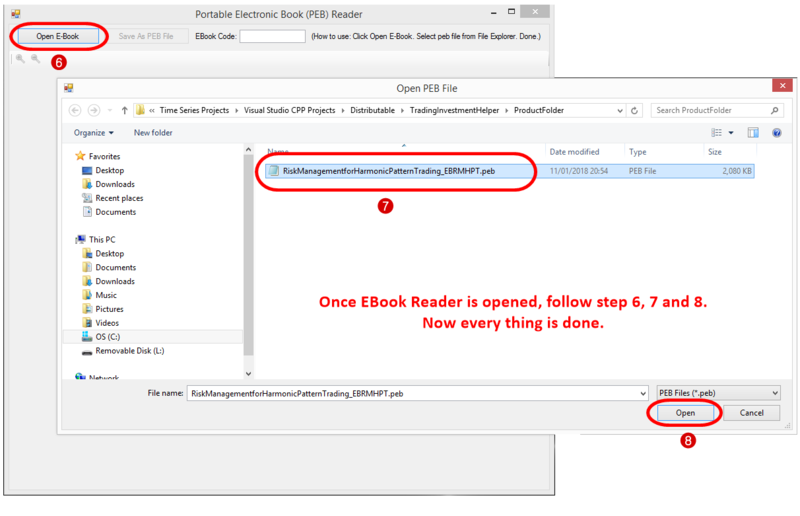 This application will provide you eBook reader much similar to simple PDF reader. Firstly, follow the typical product installation step. You will need to login with your email, Order ID and PIN number (your choice of five digit number). Then do Install Product and Download Product steps. 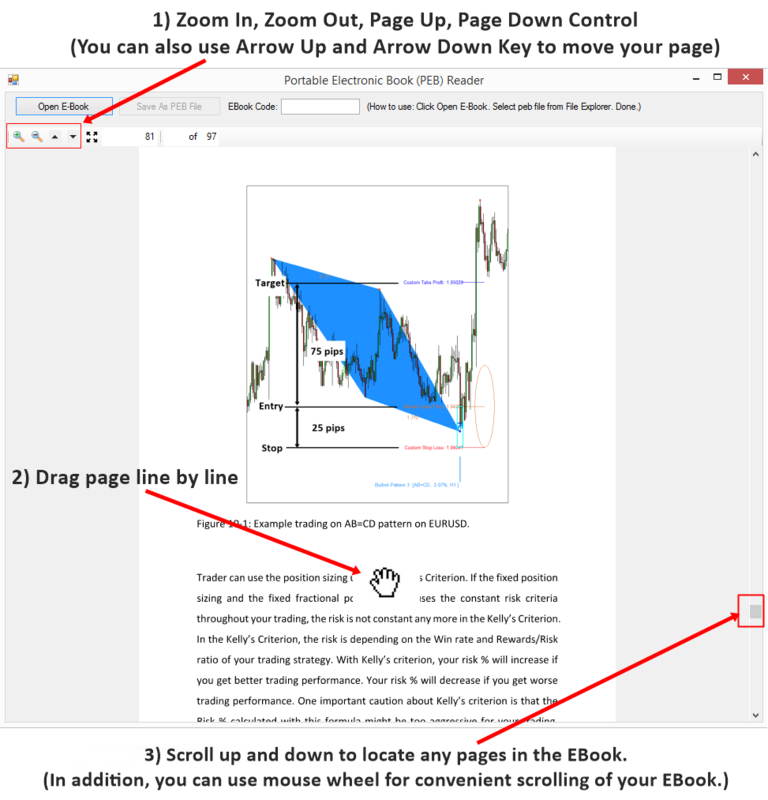 Secondly open the eBook reader from Trading and Investment Helper. All done. You can now read the ebook how ever you want to read.